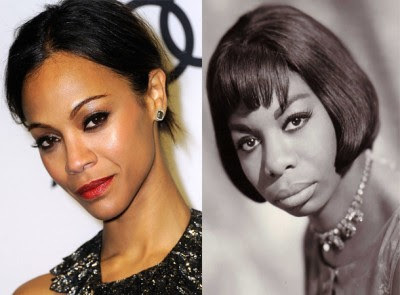 The casting of Zoe Saldana to play civil rights icon and singer Nina Simone in an upcoming biopic has reignited a debate about race and skin tone in Hollywood that goes beyond just black and white. Criticism about the choice to cast the lighter skinned Afro-Latina actress to play Simone has raged since it was first announced four years ago. In a trailer released this week, Saldana is shown wearing makeup to darken her skin and a prosthetic nose that broadens her nose to make her look like Simone. "She looks grotesque to me," said Yaba Blay, a political science professor at North Carolina Central University and the author of the book (1)ne Drop: Conversations on Skin Color, Race, and Identity. "This flies in the face of who Nina Simone was. She was very black and she saw color."